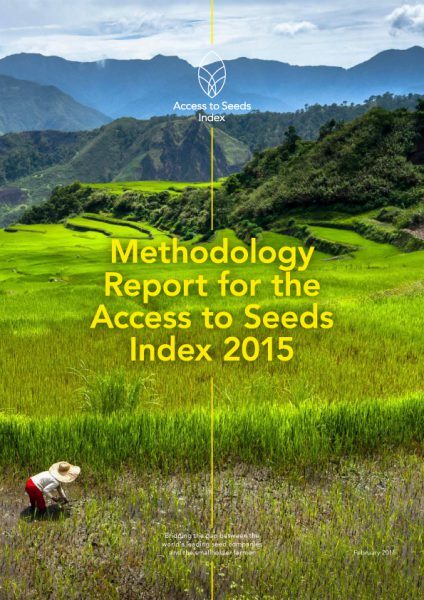 The Methodology Report for the Access to Seeds Index 2015 is now available. The report describes the methodology for both the Global Access to Seeds Index and the Regional Index for Eastern Africa. The methodology was developed based on extensive stakeholder consultations in 2013 and 2014. Prior to being finalized, the draft was reviewed by an Expert Review Committee. In the coming months, Sustainalytics, the award-winning responsible investment research firm, will carry out the data collection and analysis for the Access to Seeds Index. This will be overseen by the Access to Seeds Foundation’s head of research, Coosje Hoogendoorn. The first Access to Seeds Index is scheduled for publication at the end of 2015. The Index is founded on the premise that the world’s leading seed companies can play a key role in making quality seeds available to smallholder farmers. The Index aims to clarify this role and highlight the best practices that enhance the productivity of smallholder farmers. The Access to Seeds Index was initiated in 2012 and is being developed with financial support from the Dutch Ministry of Economic Affairs and the Bill & Melinda Gates Foundation.